As a company that operates jet and piston aircraft, we know what it is you want in an FBO. Customer service and safety are the top core values within our company. 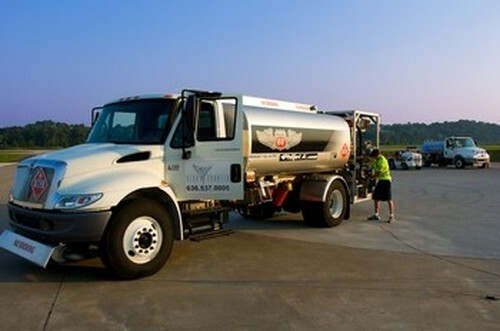 Aero Charter Jet Center offers the most competitive fuel prices, with great service and the amenities you've come to expect from top FBOs. For your passengers, our lobby is warm and inviting, including satellite HD Television, WiFi Internet access, and Starbucks coffee! Our conference room is also available, and equipped with audio and visual. For your pilots, we have everything they'll need on days when they'll be spending some time with us. Our Crew Lounge is also equipped with Satellite HD Television, an Internet station, WiFi, as well as beverages and snacks. In addition, crew cars are available to get away for breakfast, lunch, or dinner! Please stop by on your next trip to SUS and let us show you the difference! Not flying a jet? We invite and welcome you just the same! All customers that enter our facility are treated with the utmost respect and provided the same stellar service. Whether St. Louis is your final destination or just a fuel stop along the way, experience the difference of an FBO who cares! Looking to the future... We have just completed a 30,000 square foot concrete ramp expansion and widened the taxiway to accomodate all aircraft sizes. 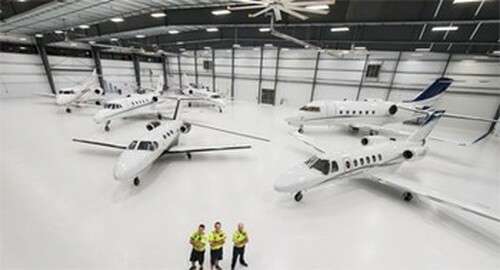 We are in the process of designing a new FBO facility and hangar to supplement the existing complex. Check back for updates! Give us one visit to realize what you have been missing!